Do You Know What's Going On Out There? You just hit the hay after a long day and your family is sleeping. You're drifting off, almost asleep, when you hear it: a distant crash from your front porch. Your dog hears it too and goes nuts. "What's that noise on the front porch?" 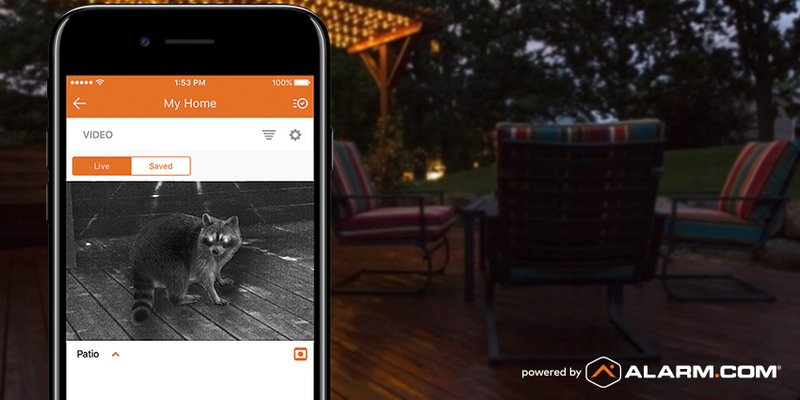 So... is it a raccoon or some other prowler making that noise on your porch? With an Alarm.com doorbell camera installed and connected, you can see right away. As well as a doorbell, it's a full security camera, able to detect motion, capture a clip, and send a video alert to your phone. Should you hear an unexpected noise and want to check who's there, you can open a live video feed from your doorbell in your app. If it's someone you know, you can let them in by unlocking your smart lock. Raccoons, meanwhile, can be shooed away with two-way audio. Related: How Smart Can a Front Door Be? "Are the kids okay in the back yard?" You can't be in two places at once. Your toddler needs to settle in for a nap, but the older kids want to stay out and play. Or maybe the dog isn't ready to come in, but you have jobs to do indoors. 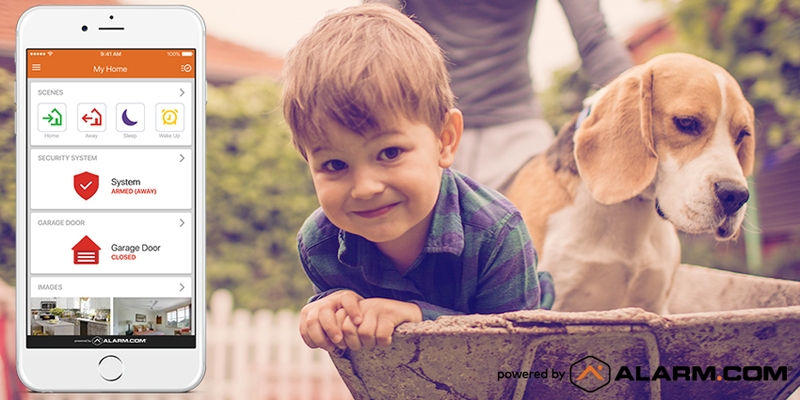 With smart video monitoring, it can be easier to keep an eye on kids and pets having fun in the sun. An outdoor camera installed on a rear wall can show you exactly what they're up to. You can even stream the picture to your kitchen TV. "Is the swimming pool area secure?" Your in-ground swimming pool is a dream come true, but it comes with the need for extra vigilance to keep your family, guests and neighbors safe. Smart home security can help with a combination of motion-activated smart lighting and an alert-generating contact sensor for your pool gate. Should your neighbor's adventurous kids creep in for a late-night swim, they'll likely find themselves brightly lit and quickly discovered. "Are my mower and tools okay in the garage?" That's a whole different question—and Alarm.com also has the answer! 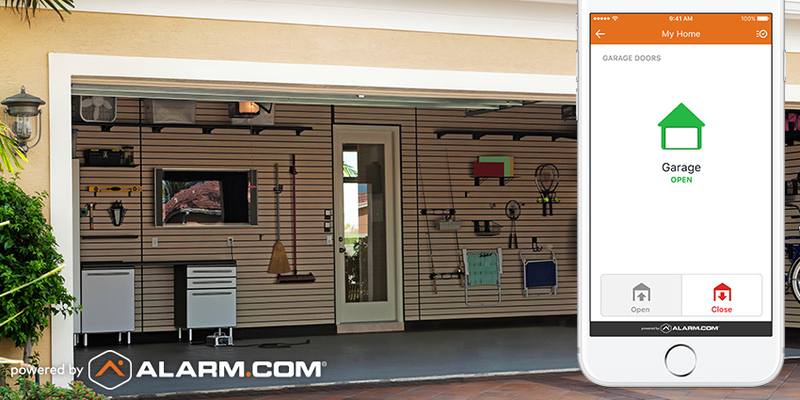 Check out the benefits of an Alarm.com-powered "smart garage" here. 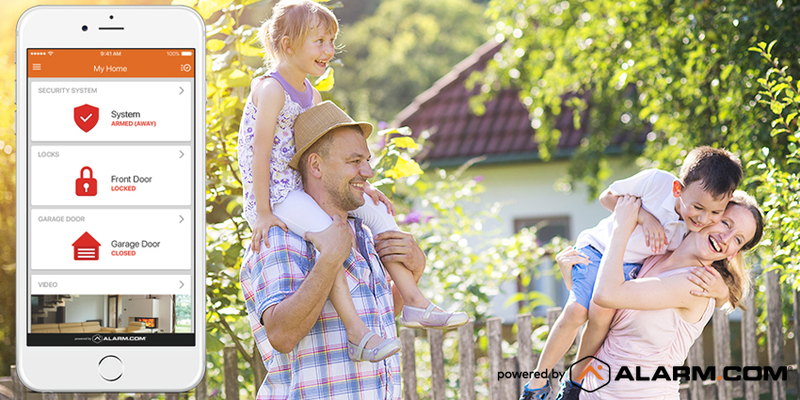 Millions of homeowners trust Alarm.com technology to protect their home and property—inside and outside. To get connected with an authorized service provider, enter your ZIP code in the box below.